Keller Stringed Instruments started as a hobby business in 1975 when Frank Keller began performing instrument repair for the Manhattan School district in Manhattan, Kansas in 1975. The one-man violin shop remained in the basement of the house until May of 1990, when his Daughter, Paula Keller Smith, purchased the repair tools, rental instruments (400) and a small inventory of retail instruments. The business was moved to Topeka, Kansas and run from a small shop in her home until May 1, 1991 when the retail violin shop opened in downtown Topeka at 633 S. Kansas Avenue. The main product line was violin family instruments, guitars, banjos, and mandolins. Over the next ten years the rental business expanded to 500 instruments across the state of Kansas. Two teaching studios completed the mix of services. A total of 4 employees (including the owner and John Smith), Frank and Roslyn Keller were on board. After three years Keller Strings moved down the street to 720 S. Kansas Ave.
At the new location, the available teaching studios expanded to four and were housed on the second floor with a separate entrance to the main street. The display windows were so large that a cellist could sit and perform in the front middle window. The windows became a seasonal attraction, as the displays changed. The repair shop was in the rear with a back door to parking for the employees. At this point in the business, the product line became more focused, only selling and repairing violin family instruments. By this time there were 6 employees including the owner. In 1995, Keller Strings brought a Clinician to Topeka for a fiddle workshop in the store. Her bow had horsehair dyed in bright colors– something new and unique to the music industry at the time. After discussion and development, she began to let everyone know during her travels that they could purchase colored horsehair from Keller Strings. The original supplier said they were not interested in producing colored horsehair in a marketable amount, and provided Keller Strings with the technique to correctly dye the horsehair . Keller Strings began installing the colored hair in customers’ bows and WildHair® was an instantly successful product, selling locally then regionally. Soon, customers wanted to purchase WildHair already installed in a new bow. A wholesale agreement was worked out with Glasser Bows. Keller Strings provided Glasser Bows with WildHair which was then installed in new student bows, making the bows available exclusivly through Keller Strings. WildHair® bows were popular and a great seller until approximately 2008 when the Chinese began to die horsehair, matching WildHair’s colors. Other wholesalers picked it up. Until 2011, Keller Strings was the sole wholesale provider of colored horsehair, with wide sales, including members of the Chicago Symphony through Seman Violin Shop. In July of 2001, the entire instrument rental business was sold to another local music store, and the shop was downsized to a shop in the owners’ home in Topeka. This was a personal decision made by the owner to slow the retail portion of the business, to facilitate a desire to focus on repair and restoration of fine quality instruments. The tragedy of 9/11 had a tremendous effect on everyone, and hit the retail violin business hard. The home- based business continued to provide services and in the spring of 2004, the decision was made to open another retail shop in downtown Lawrence, Kansas, 727 Massachusetts St., 22 miles from Topeka. This was another time when the Music industry was feeling the stress of the beginning of the recession in 2006. The shop closed it’s retail doors in June of 2006. The team continued repair, restoration and sales on a part-time basis until present time from a home-based business. During the late 1990’s, a good customer of Keller Strings suggested that that the shop should venture to southern Kansas during the third weekend in September to sell and service fiddles. The Walnut Valley National Flatpicking championship and bluegrass festival is held each September with an audience of 30,000 plus people. After two years of discussions with the owner of the festival, a successful business relationship was born, and Keller Strings was invited as the sole “fiddle shop” each year from 1999 through 2011. The shop was also selected to purchase and present the 3 championship “fiddles” for those 13 years. 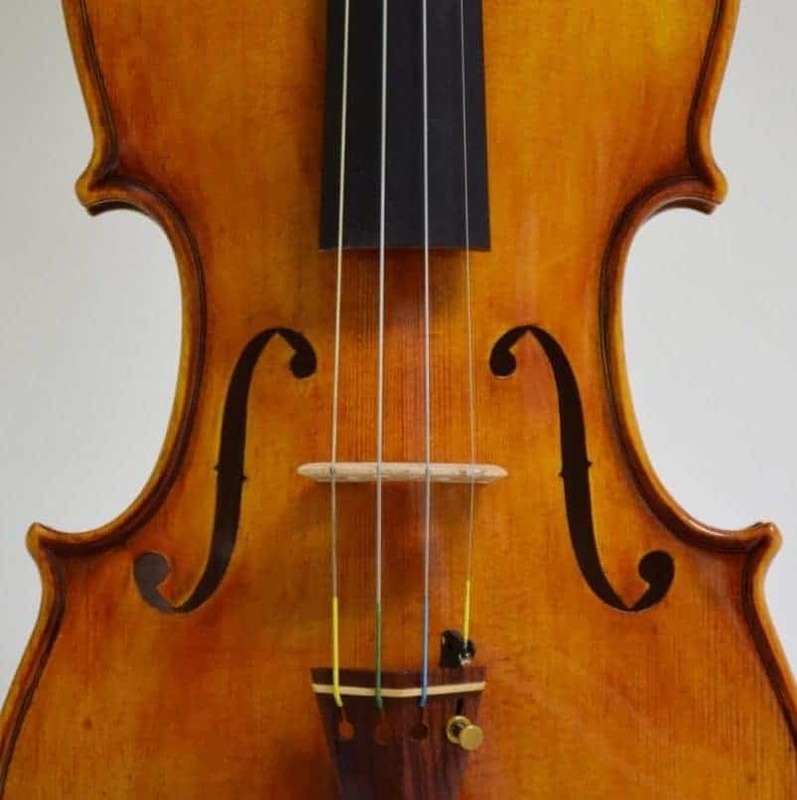 The profitable and enjoyable 5 days of selling and on-the-spot repairs earned many loyal customers, many with this outlet as their only contact with a violin shop.